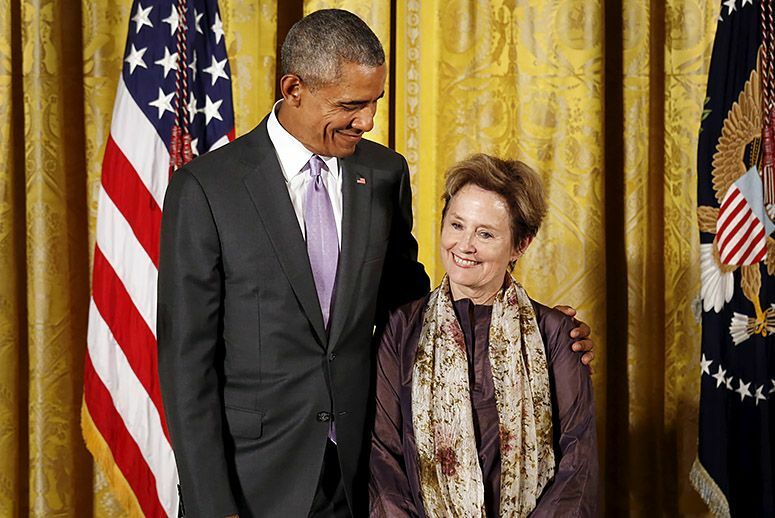 ALICE WATERS HAS BEEN A CHAMPION of the farm-to-table movement for over four decades. She is a national treasure, as is her Chez Panisse restaurant in Berkeley. Now as residents of the foothills, we’ve found that Alice Waters and her world-famous restaurant have ties to our region, thanks to local chef Alan Tangren, a 22-year Chez Panisse veteran; and The James Ranch, whose lamb has been served at the world-famous restaurant for decades. In our region, The James Ranch lamb has been on the menu at the New Moon Cafe, Ike’s Quarter Cafe and Polly’s Paladar in Nevada City and Waterboy in Sacramento; and sold at grocery stores such as Natural Selection in Grass Valley and Mother Truckers on the San Juan Ridge, as well as the weekly Nevada County Growers’ Market at North Star House in Grass Valley. 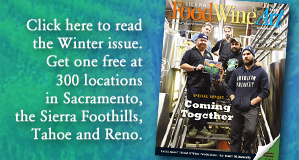 Besides The James Ranch, Waters has other local connections to the foothills: For 22 years, Chef Alan, who prepares the gourmet Chef’s Table dinners at Tess’ Kitchen Store in Grass Valley, worked alongside Alice at Chez Panisse, as a forager, a cook and a pastry chef. These local connections to Alice Waters are a testament to the high quality of the food from our region, as well as our culinary talent. 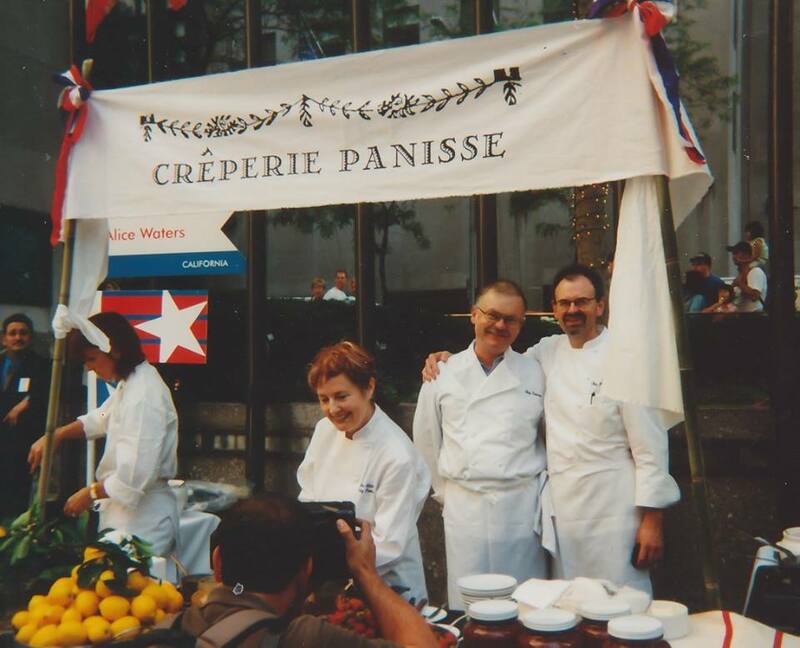 Now, 20 years later, Chef Alan — who spent his youth on Bierwagen’s farm in Chicago Park and has returned — is serving his own single fixed-price menu at Chef’s Table. And it includes The James Ranch lamb, just like at Chez Panisse. In the teaching kitchen at Tess’, Alan prepares a six-course meal in front of a small group, showing them his techniques and entertaining them with his experiences of top chefs from around the world. 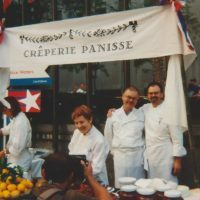 (We attended one Chef’s Table where Alan shared that he learned the art of making dessert crust from Jacques Pépin, the inter- nationally acclaimed French chef). Chef’s Table at Tess’ is a culinary experience, not just a dinner. Tangren also teaches cooking classes at Tess’. One of our favorites is “market cooking,” with a focus on foraging from the downtown Grass Valley Thursday Night Market. “We return to the kitchen and prepare what we have found,” says Alan. The class is July 6 and July 27. For more information visit TessKitchenStore.com, TheJamesRanch.com and DowntownGrassValley.com. 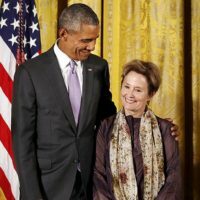 On September 8, Alice Waters, chef, author, food activist and the founder of Chez Panisse, is speaking at the Veterans Memorial Auditorium in Grass Valley, thanks to its local hosts, The Center for the Arts and BriarPatch Co-op. “A Conversation with Alice Waters” exemplifies the growing food sustainability movement in our region. Waters also plans to break bread with some nearby farmers, along with some notable locals. Her onstage conversation at the Vet’s Auditorium will be followed by audience questions. In November 2014, food activist and author Michael Pollan spoke in Grass Valley, also an event sponsored by The Center and “The Patch.” Pollan also dined with local farmers. For more information visit TheCenterfortheArts.org.